So really the question should be "How much do you want to pay?"? Finding the right wedding photographer for you is an interesting challenge. Ultimately a lot of the decision making will be subjective and focus on what appeals to you as a couple. One thing is for sure, the cost varies tremendously as does what you receive for your money. For many, finances do dictate to a degree what they choose. This is sensible, and there is usually plenty of choice whatever price bracket you are looking in. But beware, don't go 'cheap'. "Why, what's wrong with a bargain?" I hear you ask. Well ordinarily, nothing. But wedding photography isn't a product, it's a service... the cost of which reflects the hours put in by the photographer. Yes, the main cost of wedding photography is the photographers time, and the many, many hours spent outside of the wedding day itself as well as on your special day. A good wedding photographer has attributes that 'cheap' just won't get you. Think, where else could you employ a professional who needs to be well trained and highly skilled, and have valuable experience, and the right expensive equipment, and the right insurance, and the best products, and yet expect to pay them poorly? (..and yes, there are probably some jobs you could name, but that doesn't make it right!). So, you want the very best, and you've got the cash to splash. Why not? Why not indeed? Go for it................ hold on..... What are you getting for that extra cash? Is this going to be a model shoot that takes over your day meaning you don't join in at your own party (your biggest ever), or your guests become bored and don't even get to chat with you? Are you being offered heavily stylised images that aren't you or will looked totally dated by tomorrow afternoon? Please, ask yourselves, are you paying extra for the right reasons or does you're ego need reigning in? Meet the photographer (Do you get along on with them? This is so important!). Talk to them! Beware if prices aren't published... if you were selling something, why would you hide the price? Many wedding photographers do! It may be at the end of this process you are stumped. And maybe your initial (1-3) requirements were unrealistic and you need to reconsider. Remember, the work your photographer does will be your keepsake of your special day. 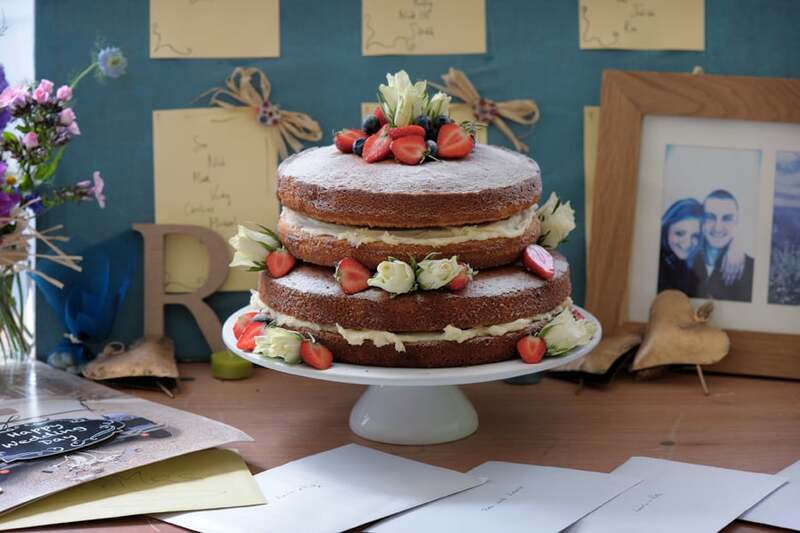 The photos will be a tangible reminder of what happened long after the cake has been eaten, the DJ has packed away, and even after your memories have faded! Checkout Tim's prices here. I'm up front about the cost, and nothing is hidden. I guarantee there is no sales agenda or sales pressure. Yes, I know Reading and London aren't that far apart, but still it's nice to have a change of scene... and what better place than our capital city! Now if I start talking churches gloriously adorned in gold, white and red, HUGE wedding breakfasts, and superb socialising over the meal (which is a way of life) some people might just recognise that I've covered an Italian wedding! This particular ceremony was in Farringdon, where typically the church was not impressive from the outside, but wow... from the inside!! Afterwards guests too a London bus (private hire) to the reception at Hampton Court, travelling right through the centre of London along the banks of the Thames. Great wedding, or as the Italians would say..."bellissimo!" What should wedding photographers wear? ... well at least when they're working. But seriously, this question does come up quite a lot. And it's not that surprising because I have heard some horror stories, not least because my industry has its share of idiots and chancers like most others. Jeans and a T shirt should be a definite no no! Firstly, you're the employer and as such don't feel awkward about asking the question or making (reasonable) stipulations. Secondly, it's a wedding. Anybody working there should show respect to the people and the occasion. Whether they're a wedding photographer from Reading or a DJ from Ibiza, common sense must prevail. Now, there is a train of thought in the wedding photography business that us 'Togs' (as for some strange reason we have named ourselves) believe we must be comfortable. This is not unreasonable, and very sensible. But this shouldn't detract from being smart and presentable. Far be it for me to say what wedding photographers should wear (we're generally big enough and ugly enough to make our own decisions), but I see nothing wrong with wearing a suit (for the men) just like the other male guests. Female photographers, I believe, should be equally smart but obviously not too "dressy", they need to remain practical. Some photographers will wear a top with a logo. You may or may not find this acceptable, and your view may be effected by the colouring and size of any logo on display. So, do ask. You may be glad you did! Who can get married in a cathedral? Can anyone get married in a cathedral? Not surprisingly, the answer is no. A cathedral must rank as one of the grandest places to have your wedding, if not the grandest. I recently photographed a wedding at Salisbury Cathedral…. and wow! I’ve seen some churches, but the sheer scale of Salisbury Cathedral makes it extremely impressive. The couple didn’t just rock up and ask to be wed there. Oh no. A cathedral has its own parish (in this case the Cathedral Close), so those worshipping there on a regular basis can count it as “their church”. By chance my wedding couple actually lived outside the Close, but had long been welcomed to the congregation. Even so they had to apply to the Archbishop of Canterbury to be allowed to hold their wedding in Salisbury. Apparently the agreement sent to them was something akin to the Magna Carter or some Royal charter, very impressive and in keeping with the venue itself. As with many places of worship, be warned. The professional photographer can be restricted in what they do. This is, of course, always to be respected… and even then a real treat. "When do we have the speeches? It’s after the meal isn’t it?" OK, so more often than not when I photograph a wedding the speeches do occur after the Wedding breakfast. But there has been a trend over the last few years to “do your own thing”. The main reason for moving the speeches seems to be in consideration of the speakers themselves. Let’s face it most people aren’t used to standing up in front of a packed room and waxing lyrically for 5 or 10 minutes. It’s a nervy/scary situation for most involved, and the anticipation could potentially ruin their enjoyment of the lovely food put before them (if it’s touched at all)! The most popular variation is to do the speeches before the Wedding Breakfast. Beware here, depending on meal time your guests may be hungry so pushing back the food might not be well received! I have also seen speeches take place between courses, but as a rule Chefs hate this because they are trying to get hot food out on time. The other option, which I have seen quite a few times (although it doesn’t help with the above paragraph), is to do the speeches before or during the dessert. By the way, photographing the speeches can be a joy. The Bride and Groom rarely know what’s going to be said and consequently there can be some great expressions which all make for wonderful wedding photos. Choosing a wedding ring? Not so easy is it! There are plenty of shopping options now: Reading, Basingstoke, Salisbury, good online services, Birmingham's Jewellery Quarter (excellent choice and service! ), Hatton Garden etc. You'll receive loads of great advice whichever route you take. But where do you start? Well, style is a good place, so take a look at what I've been seeing at my weddings. Obviously some styles suit some fingers better than others, so you really need to try rings on before making a firm decision. Once you know the style you can then start considering what materials... and then watch the prices rocket, but hey, it's once in a lifetime and you knew at the outset it wasn't going to be cheap! They've been around a while now and are often ignored or under appreciated. But here's the thing- They're a really good way to view and share your photos! They can easily be put on social media, or played on the device of your choice or even on a Smart TV's. As a wedding photographer I get close to my photos when I'm editing/processing them. And every time I get to do the slideshow I love it! The addition of transition and sound really boost the pictures, and this combination gives the telling of the wedding story a moving edge. This is why for every marriage I cover I now provide a slideshow as standard. The feedback I've received from Brides & Grooms has been excellent, and I firmly believe a photography package with a slideshow offers a better option for the couple.. This is Jack & Rebecca's barn wedding. Take a look! I've long understood the importance of making some room for a little Continuous Professional Development. Weddings and photography both evolve and it's important to keep up. This can come in many forms, and on many occasions I have done the easy thing and jumped in to Youtube or googled something that had recently grabbed my interest on the technical or art side of things. One source I have found useful is The Photographer Academy which amongst other things boasts thousands of online videos for photographers. It's a paid service, but pretty cool.. everything is there. So when an old friend suggested a visit to one of the Photography Academy 'Big Photo UK Tour' dates, I thought why not! And it was free!! A no brainer really. Expertly run by Mark Cleghorn I found there was something for every professional photographer. From swift show of hands there were plenty of wedding photographers there, but also portrait photographers, and commercial photographers. It was a real mix. During the day there were 2 sample photo shoots where we were walked through Mark's lighting techniques, and ample time to meet other "Togs" (yes, I know - stupid name- but that's what we call ourselves!!) and browse the trade stands from Loxley, Kaleidoscope, 3XM & Elinchrom. Not only was it possible to properly view these products but staff were on hand to answer any questions. There were also further seminars on business practice and how to use Facebook (which sounds obvious, but this goes well beyond your own personal use). Upon my return I was pleased to know that I had some fresh ideas, confirmation that I was doing things right, and pointers as to how to conduct my wedding photography business better. So all in all a worthwhile exercise. Now, back to the nitty gritty, I have some photos to process! Mark demonstrates the impact of different lighting setups. I'm very excited to announce that I am now offering clients an app with all my wedding packages. With modern technology the ways to view photographs are becoming more and more diverse. And sharing that viewing experience has become more and more important. I have therefore decided to provide a personalised wedding app to all my couples. They are an easy way to view and share a selection of your "Unforgettable Wedding" pictures and the slideshow. The app also acts as a convenient gateway to your full 'Online Gallery' where all your photos can be seen (and bought). Ideal for far flung family and friends! I often tell people that every wedding is different, and this is due to the people. I could photograph a wedding at the same venue on consecutive weeks and the two occasions would be totally different. The backdrop won't have changed, but the people will look different and act differently. However, that environment I work in does dictate how I work and what I can do. So it's great when I get to go somewhere new, and even better when that somewhere new is something out of the ordinary. The other week I was lucky enough to photography Maryam & Matthew's wedding on the south coast. The church was located in a typical residential area, but they had laid on a boat trip up the Hamble to their reception at a restaurant in a boat yard / marina. This made a pleasant change to my normal working surroundings and was hugely helped by some hot "summer" weather! I love my job, and this variety is one of the reasons. Plenty of couples mail me or phone me looking to see if I'm available on their big day. This can be the first step on a long journey. Some couples have done all their online research and want to hire me there and then. Some couples want to delve deeper. Well, we are all different - and I wouldn't expect anyone to commit to me as their photographer unless they are totally happy. But regardless of a couples desire to hire me or not at that stage I always suggest meeting up. In fact I generally see couples twice. Once initially, when I am booked..., and then again about a month before the wedding at the venue(s). Most people see the need to go to the venue beforehand. I am very keen to check it out and also get their thoughts on where to do photos etc. But not everyone sees the need for that initial meeting and I think they are missing the point. For me, the first meeting is a key part of my preparation... and when I say "my preparation", I mean their preparation! Most couples I see haven't been married before and their only experience of a wedding is as a guest (where everything happens and they don't even think about it). Where many couples have a good idea of timings for their day (the Ceremony is at **** and will end at **** etc) I am often the missing part of the jigsaw - "How long will the photography take?" I am usually asked. Well, it's not a simple question to answer (and to avoid going through it all again I refer you to my previous blog http://www.timwhitingphotography.co.uk/wedding-photography-blog/2014/8/18/all-about-those-group-shots ). It can be a complex issue and thrashing it out face to face is undoubtedly the easiest way. Many couples find it extremely useful to discuss the photography and go through the timings, and of course so do I. My understanding of the timings and ability to execute the photography to deadlines (particularly the serving of food) is crucial. OK, "we get it" you say..... but there's more. I am (most likely) someone you don't know, who you want to capture intimate parts of your wedding day, who you want (and need) to be comfortable and relaxed with when you're in front of the camera. Meeting up and going through the above process does something else. It helps us to get to know each other a little. This is seldom considered, but something I have at the top of my list. It helps you (be relaxed on the day), and it helps me produce what you want. Understanding a bit about you and your characters certainly gives me a head start. And although a meeting is usually only an hour or so, by the time we've met again at the Pre Wedding (venue) Meeting I sense we are all comfortable with what lies ahead. The realisation that it's in my interest for the day to run smoothly and I want to help make that happen is quite powerful. And once you've seen that I am preparing properly it's easier for you to trust me too. So hopefully this gives you an idea of the true value of that initial meeting. We all end up winners! A wedding today is a modern celebration. 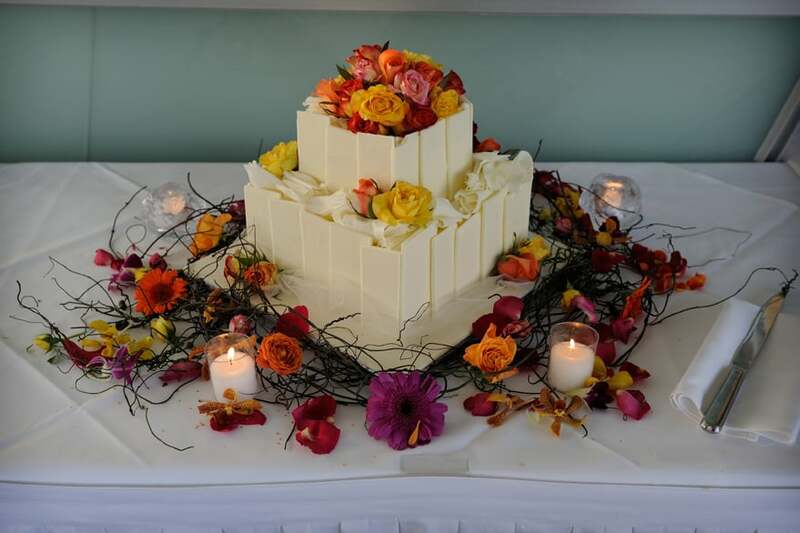 Couples are able to build their special day and make it pretty much what they want it to be. On the whole the traditions of old are still repeated week in week out, after all keeping these traditions (for many) makes a wedding. But spare a thought for the surprisingly overlooked confetti! For one reason or another I have noticed fewer weddings have featured the old classic.. throwing confetti. Come on folks, make room for a little fun! Confetti dates back to pagan times, and the current paper/petals option has evolved from the throwing of sweets (particularly in Italy) and grains. One reason for it's fall from grace has been that some wedding venues decided due to the mess and inconvenience to ban the throwing of confetti, but I sense this has changed recently - customer is king after all. There can also be environmental issues if the confetti is not biodegradable (although biodegradable confetti is now widely available). Some have opted for the bubbles option, which seems a good idea but frankly lacks impact and urgency (and therefore excitement). So come on folks, it's down to you Brides and Grooms to be. Make confetti throwing part of your day! Check with your venue to see what they allow and where. Buy (yes you) biodegradable confetti (and lots of it) so that this can be handed out to everyone. It really is a shame to miss out. It's fun for your guest (and involves them in the celebration), and of course can make a good photo (sorry, my hidden agenda is revealed). But in all seriousness, why not have another and different part of your day to remember? Keep confetti alive!!! Fun Time! Getting everyone involved. You can't beat a proper photobooth! Fun for all, and the perfect spectacle for after the Wedding Breakfast! If you're considering one try the good folk at Premier Booth Hire. I can highly recommend the good people at Baked By Butterflies. Mark is highly skilled, his cakes are pieces of art! Take a look at their site. Anyone looking for a wedding car... look no further. Brian at Cathedral Cars is your man. Cathedral Cars are an award winning 'Wedding Transport Supplier' so it's best to get booked up early. Our paths have crossed many times and my preference is for the 1935 Rolls Royce, but the Daimler is popular with it's twin confetti cannons.... yes really. See below! Every year I carry myself off to the big lights of London in search of knowledge, ideas, and inspiration. Surprisingly I find all this in a hotel!.... but before you jump to any conclusions please read on! The pilgrimage I make is to the Society of Wedding & Portrait Photographers Convention. This professional body (of which I am a member) lay on masterclasses, seminars, competitions, and a trade show. And this year I took the trip with an old friend of mine, Jonathan, who is in the portrait photography business. This years event was excellent as usual. Keeping up with trends and product options is a must for me, and there is no better way of doing this. Actually getting touchy feely with what's available cannot be beaten. And with suppliers staff on hand (let's face it guys you're on a bit of a jolly really) products can be really explored. And having Jonathan along meant I was able to share ideas and concerns. Useful! For the 6th year running I came away knowing my working relationship with printing lab Loxley Colour would continue. I can't say I was surprised. They keep winning industry awards for their products and service. Yet again, in overall terms, no one is properly competing with them in my opinion... although some are getting closer! Most importantly I still love their stuff over pretty much anybody else and regardless of price. So I have returned. Full of ideas, and intent on restructuring my packages and adding to what I offer. This is a bigger job than you'd imagine. So that's enough blogging, I'd better crack on and get on with it! Welcome 2016, I'm looking forward to the year ahead!! I am a full time wedding photographer. Based near Salisbury I am happy to (and do) travel all over the south of England, particularly around Reading, Berkshire where I lived for 40 years. The variety of shooting at different venues is very appealing. I frequently find myself working around Andover, Bath, Basingstoke, Bournemouth Reading, Salisbury, and Southampton; although I have been known to shoot weddings in Chelmsford, Chester, Halifax, London, Leicester, and even Melbourne Australia! I live with (the lovely) Marnie and our two cocker spaniels Isla & Max in a small village in the picturesque Wylye Valley. In my spare time I enjoy watching Reading FC, table tennis, cinema, music, travelling and eating out. I don't enjoy having my photograph taken, champagne, or rain. Photography has always been an interest of mine, first learning skills with Zenit E & TTL cameras in the early 1980's. In 2007, during a year travelling (Australia, New Zealand, South East Asia, & Europe) I realised that I couldn't return to my old job. The world was big, life was short. My eyes had been opened. This proved to be my real "What's it all about?" moment. Knowing that I wanted to do something I enjoyed, was workable, and meant something, I considered my options. Premiership footballer? That was never going to happen! Rock star. Don't be ridiculous! It was whilst photographing people in Cambodia that the obvious struck me. I could be a photographer! In fact this had been a long held ambition, extinguished in my latter school days by my lack of a good grasp of science. But hey this was the 21st century, I was a grown up, everything was digital... and as they say "where there's a will there's a way". On my return to the UK I enrolled on two courses. I read everything I could get my hands on. Surfed the web (endlessly). Watched videos. Did online training. Watched more videos. Did a distance learning course. Went to trade shows. I was a sponge! Then I got my break. A neighbour (thanks John) introduced me to his daughter who was getting married. I am ever grateful to Ashlee and Stephen, who showed such trust in me (with no track record)! This was my big test. Could I do it? Did I really want to do it? Looking back I was extremely well prepared and thankfully everything went well. The revelation for me was yes I could do it, and not only did I like doing it... I loved it! Things have evolved since then. My job isn't just about taking pictures. I have become somewhat of an expert in photo editing (NX2 and Photoshop). My website is all my own work, even down to learning how to rank well in a Google search. Then there's marketing, accounts, networking, & training. I love it all. I feel so lucky. 2015 has been my busiest year to date. I can't wait to see what 2016 brings, who I'll meet along the way, and where I'll be working. Belonging to the Society of Wedding & Portrait Photographers, I keenly observes the ethical and professional standards expected of its members. My photo on a billboard in Salisbury!